Though we don’t often think about it, young children as young as 9 or 10 months of age can be infected with cavity producing bacteria, which can cause dental cavities in Burlington. The Center for Disease Control and Prevention (CDC) estimates that almost 20% of children 2-5 have untreated cavities, and the rate rises in little ones over 6. Tooth decay, if left undetected or untreated in toddlers, can result in poor eating habits, delayed speech development, and establish an unhealthy environment for permanent tooth development. Healthy baby teeth lead to healthier permanent teeth later in life, so you should prioritize the state of your child’s dental health before it’s too late. Mothers who observe preventive dental and oral care during prenatal and postnatal periods can better safeguard their children from dental cavities in Burlington. Parents and care providers should not prop a bottle for their baby in a crib or car seat, forego nighttime bottle or breastfeeding, and go over their child’s teeth with a cloth or soft baby toothbrush as soon as the teeth erupt. Follow these steps and you will vastly improve the chances that your child doesn’t suffer from dental cavities in Burlington. Pediatric dentists recommend taking your child to his initial dental appointment when the first tooth appears. Your child will be examined and you can start discussing dental sealants and other preventative dental measures for your child. 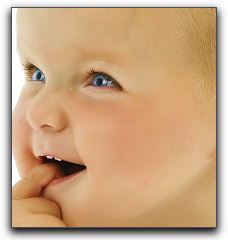 To set up your toddler’s first dental checkup at Pediatric Dental Center in Burlington, call 859-534-5640 today! Our friendly staff will be happy to answer all of your questions regarding early dental care. We look forward to meeting you.